Parents will also have a great opportunity to earn money towards their son's lacrosse dues. HELPING to make the club STRONGER and BETTER than ever before. Need one per Varsity, JV A, and JV B team. Responsibility is to coordinate score table volunteers via Sign Up Genius, make sure your team is getting all their games covered, train scorekeeper/timers and help get coverage if needed. 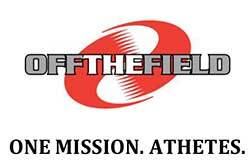 Plan out and paint the fields pre-season and touch up during season. Make sure volunteers are scheduled to set up score table/PA/and check to make sure it all gets returned to the shed. Get sprinker/mowing schedule figured out for games on the MVHS soccer field. Be a lead for Boise Open, Fit One and Snap Raise or equivalents. Manage the volunteers. Handout and help with team uniform handouts and collections. Reserve hotel, bus, food ordered/delivered. Be a chaperone. Work with TVYLL to get 8th graders involved and get ice cream social set up. Involved with senior pre-game photos, family, etc. Post/create albums. Gather of teams-creating a video for end of the year banquet. Once the season is finished and assignments have been completed- parents will have the option to credit the money towards next years club dues or receive a check. If you are interested in one of the positions please sign up on our website. If there are open spots after all members have the opportunity to volunteer a family/member can choose to take on a second position. The MVHS Lacrosse Board would like to announce the hiring of Jaime Nava as the MVHS Boys Varsity Head Lacrosse Coach. The Board would also like to announce Chase Larson as the MVHS Boys Varsity Assistant Coach. As most of you know, Coach Nava and Coach Larson have been a part of the MVHS Lacrosse program for the past several years and bring a great deal of experience to the MVHS Lacrosse program. Coach Nava has had a real passion for sports his whole life and has been coaching various sports and levels of sports for the past 10 years. With regard to Lacrosse, Coach Nava coached three years at the youth level, two years with the Outlaw traveling club and is now entering his fourth year at the high school level. The past two years he has been a head JV coach in the MVHS Lacrosse program and has coached many of the boys returning this season. Most recently, Coach Nava and Coach Larson coached the 2018 MVHS Lacrosse JV Boys- winning the JV State title!! Coach Larson is a Boise native that grew up playing lacrosse in the Treasure Valley. He played three years of Varsity lacrosse as a midfielder and attack at Boise High School graduating in 2008. He played at the college level for Fort Lewis College in Colorado, BSU and U of I. He coached 2 seasons previously with Mountain View's JV program earning a Championship title in 2014. The past two seasons he has coached with Coach Nava in the MVHS Lacrosse program as the Assistant Coach. The MVHS Lacrosse Board is excited to have Coach Nava and Coach Larson heading the Varsity program for the 2018-2019 season. We look forward to the success they have with the boys on and off the field. Please join us in welcoming Coach Nava and Coach Larson in their new roles. The season is just around the corner so please don’t forget to mark your calendars for the upcoming Boise Open (September 15th) and FitOne (September 22nd) fundraisers. More communication on these fundraisers will be coming out shortly. Lastly, please remind any incoming Freshman players and parents to sign up to receive e-mails, notices and other communication via the website. Thankyou to all who attended our first meeting of the season on Tuesday evening. We intended to keep it as short as possible with the information we needed to convey and even with coach Nava given the floor we think that was achieved. The Mavs board would like to recap the information for those who did not attend and just add any info that may need clarification. Some main points are that we would like all players registered by the first payment due date of Dec. 4th. We will shortly be sending out orders for the spirit packs and to ensure your players receive one need to have this done. As well, we are in need of goalies and anyone who registers as a goalie will have their full spring registration dues refunded at the end of the year. Goalie gear will also be provided. 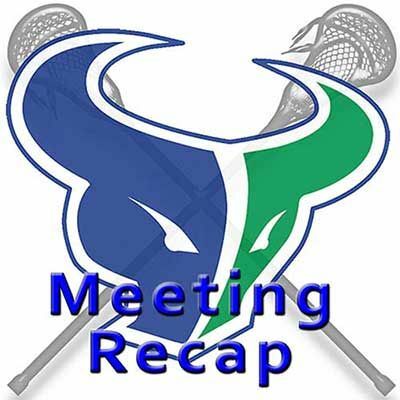 Please click here for a recap of the meeting.